Zero-drop shoes offer less cushioning and support than traditional running shoes, which has pro’s and con’s depending on personal preference. The first thing to note is that the Intuition 1.5s are a pure zero-drop running shoe and this is an important consideration for anybody looking to join the zero drop craze. We covered this in more detail in our article referenced above, but it’s worth considering a staged approach to moving over from traditional shoes. 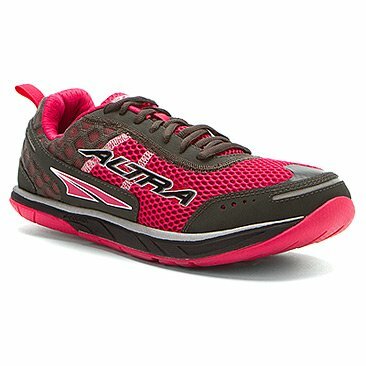 The Altra Intuitions are more of a final stage in your movement, but if you are already on board with this movement, then these shoes are definitely worth a detailed look. The Altra Intuition 1.5s are a big step forward for zero drops, largely because they don’t sacrifice the comfort of traditional running shoes to anything like the usual extent. The comfort is amplified because the shoes are not some ‘shrink it and pink it’ amendment from the male version – they are specifically designed with women’s feet in mind. The Ultra Intuitions offer a perfect mix between the familiar Ultra designed flat profile with a fully cushioned sole which is more reminiscent of traditional shoes. This equates to an ability to run further, faster and more comfortably, which is three improvements that few runners would sniff at. This reengineered design also delivers notable respite from the noise that is often associated with flat profile shoes, especially on treadmills. 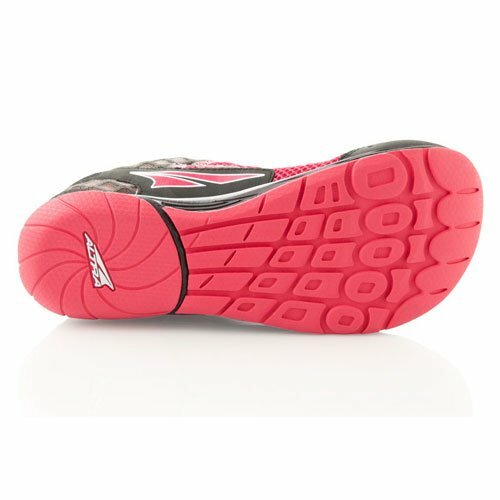 These shoes are a significant step forward because of how they have bridged the cushioning problem. When you remove up to 15mm of heel height you do so at a cost, and the material removed is the padding which adds the comfort to traditional shoes. The Intuition 1.5s are combatting this by upgrading their designs and focussing on gender specific solutions. These shoes are engineered for women, so feature a narrower heel and mid-foot, as well as a longer arch and higher instep than shoes designed for men. The first notable benefit of this targeted approach is the Intuitions ability to avoid your heel slipping whilst running. This is a common problem that many women find with running shoes in general and certainly with flatter profile running trainers. The tighter heel and midstep means that these shoes fit like a glove whilst maintaining a more ‘natural’ feel, which is testament to some really good engineering work. The comfort is amplified even further by the super lightweight, as the shoes weigh in at only 7.7 ounces. Styling leaves a little to be desired and that’s a shame – the plumbing is excellent but books do get judged by their cover.